Top 30 doesn’t always sound like enough to a university that loves to be number one. But when you’re talking top 30 not just in the state or nation, but instead on the entire planet, top 30 is a biggie. 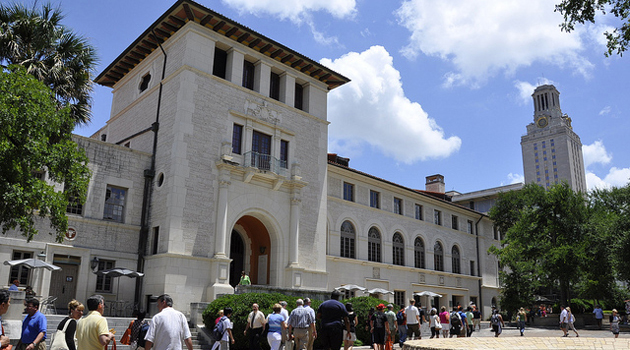 The Center for World University Rankings has ranked The University of Texas at Austin No. 30 in its new, first-time list of the world’s top 100 universities. The ranking took into account educational quality, faculty quality, alumni employment, patents, publishing, faculty research citations, and influence. For UT, the key category that landed the university in the top ranks was quality of faculty. The calculations weigh the number of faculty members who have won prestigious honors like the Nobel, Wolf, and Schock prizes, as well as awards like the Turing. In UT’s case, current faculty members—including physicist Steven Weinberg, chemist Allen Bard, computer scientist E. Allen Emerson, and mathematicians John Tate and Luis Caffarelli—have won all of those. The Saudi Arabia-based rankings center rated UT 22nd best in the United States and 8th best among public universities. Elsewhere in Texas, UT Southwestern Medical Center, Rice, Texas A&M, and UT M.D. Anderson Cancer Center also made the top 100.